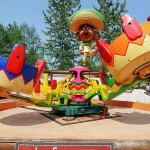 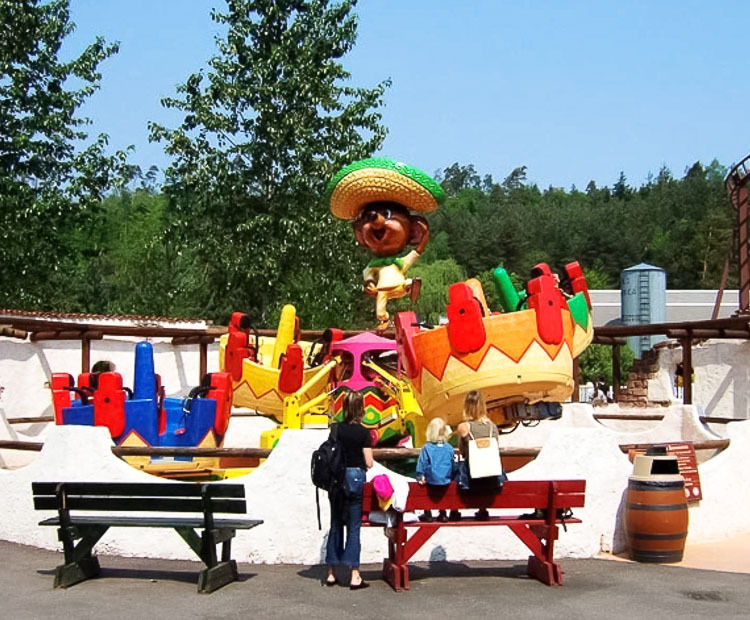 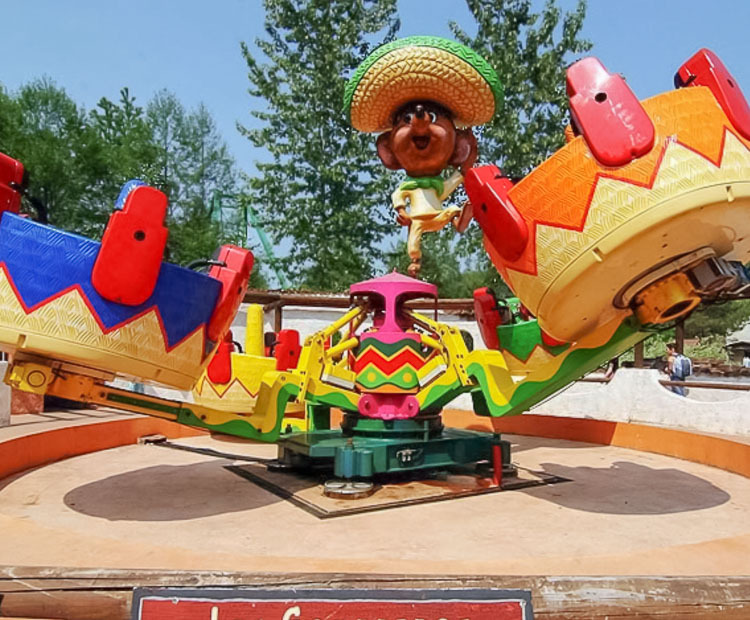 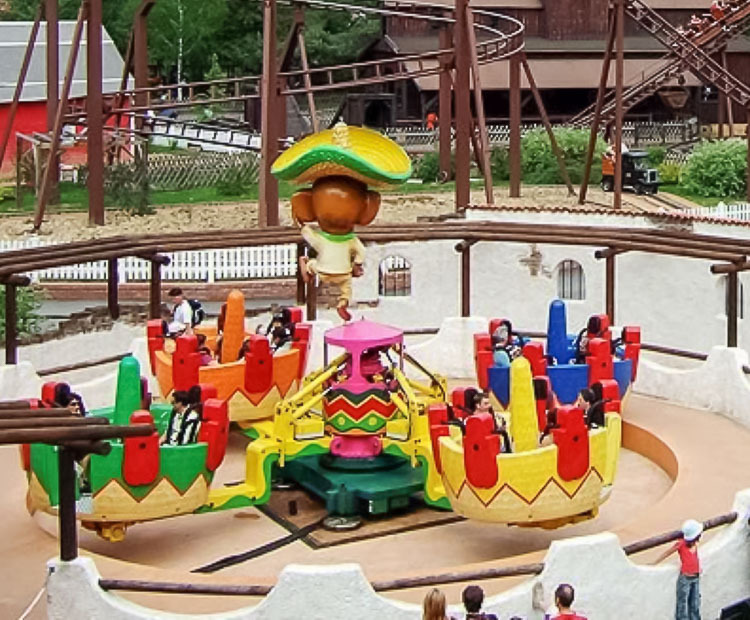 Our Sombrerito Ride park model has four separate movements: center rotation, four Sombreritos rotation, raising up of the arms, rotation of the eccentric which raises and lowers the four sombreritos alternately while rotating. 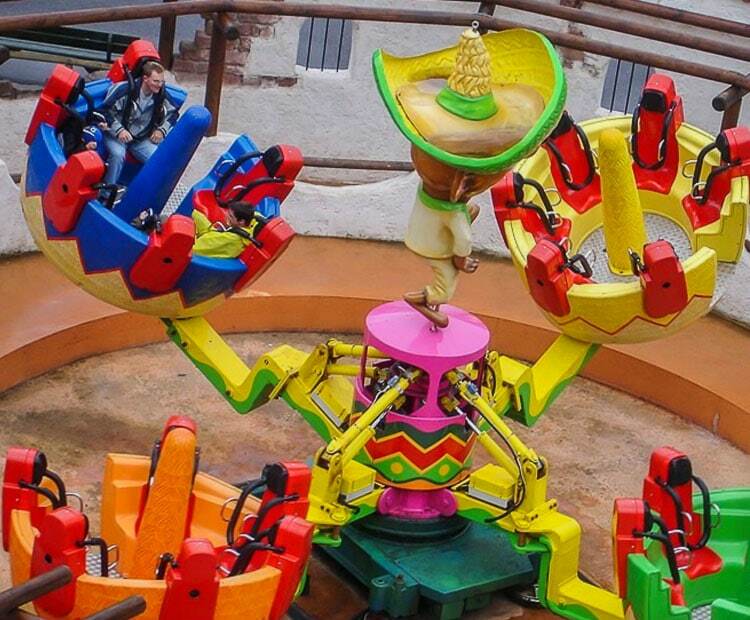 The Sombrerito is the development of the traditional octopus-polyp with all passengers seated one in front to each other and assured to be seat by over the shoulder restraint. 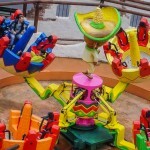 All the Sombreritos can be loaded simultaneously and the safety bars are remote controlled by the operator. 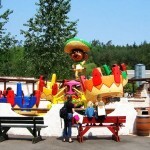 Three or four Sombreritos for 6 adults each Sombrerito for a total seating capacity of 18 or 24 passengers. 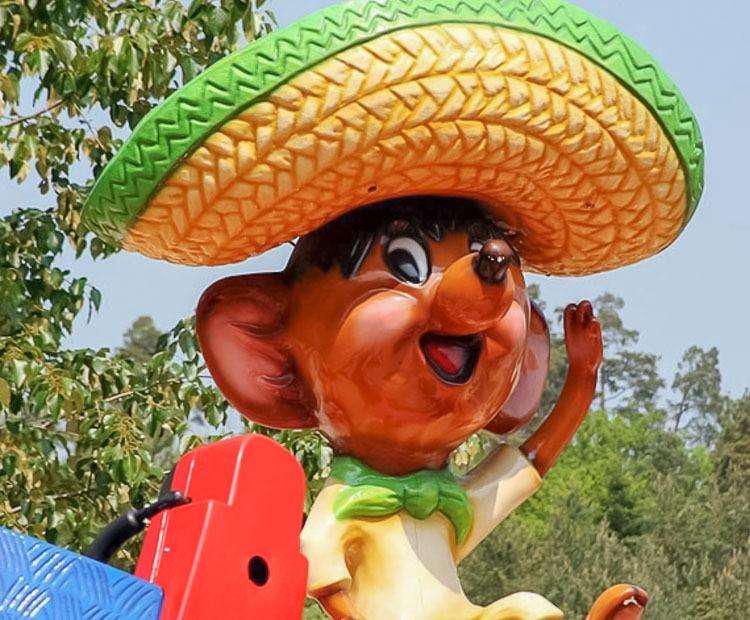 The standard Sombrerito central decoration is an inflatable mouse type Speedy Gonzales. 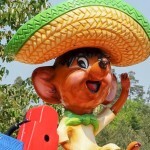 Do you need more information about Sombrerito?